Ruling Elders, who are entrusted with the spiritual government of the church, are elected by the congregation, ordained for life, and serve on the Session for a three year term. Teaching Elders, who are the ministers of Word and Sacrament, are ordained by the Presbytery, and called by the congregation to serve in a variety of ministries. Deacons who are entrusted with the ministry of compassion and service. Deacons are elected by the congregation, ordained for life, and serve a three year term on the Board of Deacons. 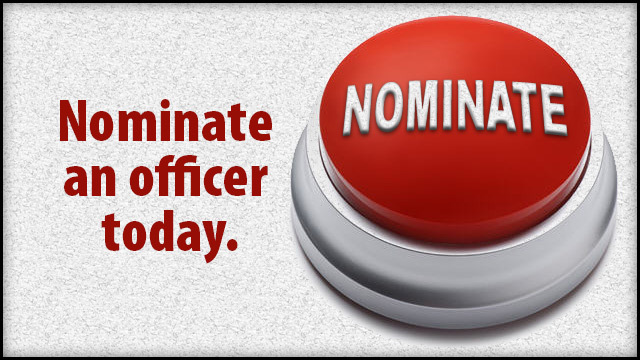 These officer positions are filled through a nomination process which takes place throughout the year, but culminates in the fall. Nominate a member now. Current elders are classified by the end year of their term. Christmas Benevolence Committee of the Board of Deacons coordinates and provides clothing, food and gifts for nearly 200 families in Indianapolis at Christmas. Community Committee of the Board of Deacons provides community outreach to the Westminster Neighborhood as well as recruiting volunteers for Habitat for Humanity. The Community Committee also sponsors the Blood Drives held here at Second Church. Congregational Committee of the Board of Deacons offers Pastoral Care programs such as Home Communion to those who are hospitalized or homebound. The committee also oversees the delivery of flowers on Sunday to those hospitalized, in nursing homes and rehabilitation facilities. This committee is very active in the care and support of our members. Please contact Rev. Karen Lang. Oversees annual stewardship fund campaign. Authorizes and coordinates all fundraising events, fund solicitations and special campaigns. Develops policies governing the use and development of the Memorial Gifts Fund. Prepares the annual budget and monitors the monthly cash flow and financial status of the budget. Approves and develops policies for pricing of all services, user fees and special program fees. Is authorized to develop financial policies as needed. Develops a ten-year financial plan in consultation with Trustees of the Church Endowment Fund to ensure financial stability in the 21st Century. Maintains a permanent liaison relationship with the Endowment Fund Trustees with the Business Affairs Chair being a voting member of the Trustees. Develops a five-year maintenance plan and establishes priorities for resource allocation in regard to the care of buildings and grounds. Forecasts and monitors yearly maintenance and facility needs. Reviews and approves bids for all maintenance needs, special enhancement projects, service agreements and insurance coverage in all contracts over $5,000. Develops policies for building usage and any other regulations and policies as required for the care of the property. Oversees an annual audit of the financial records of the Church by a certified public accounting firm. Ensures that all groups operating under the auspices of the Church have an annual review of financial records. Coordinates all evangelical programs, welcoming new members and assimilating new members into the life of the Church. Coordinates and annually reviews all fellowship opportunities and programs: (e.g., Sages, Companions in Christ, Presbyterian Women and Presbyterian Men) as well as those for spiritual formation. Develops and coordinates opportunities for small group ministries within the life of the Church. Recruits and trains the volunteers responsible for the planning of the large all-Church events and of the small group ministries. Maintains membership, baptism, wedding and necrology rolls. Reviews and recommends to the Session all mission giving in the Church per the annual budget: Presbytery, Synod, and General Assembly. Coordinates, reviews and approves all adult mission trips in the Church. Reviews and recommends the allocation of mission funds from the annual Church budget: small church grants, grants to colleges and seminaries, mission sponsorships, disaster relief, immediate mission funds, special requests, special projects, etc. Coordinates all special denominational offerings: Peacemaking Offering, Christmas Joy Offering, One Great Hour of Sharing Offering, Denominational Giving. Coordinates all special mission fund programs; i.e. The Matthews Fund, Habitat for Humanity, etc. Coordinates and oversees large all-church mission programs; i.e., Take It To Town, etc. Develops position descriptions for all new employees. Conducts annual reviews of employees’ work and monitors their professional growth. Annually reviews individual employee compensation and benefit programs. Maintains and reviews the employee policy handbook. Leads the Session in its strategic planning efforts and in the evaluation of Church programs and ministries by periodically reviewing the mission statement and goals of the Church and developing updated plans as needed; then monitoring the implementation of those plans by session and its committees. Ensures all major mission initiatives, new programs or other projects in the life of the Church, whether sponsored by the Deacons or other committees/groups, receive proper approval by the Session. Planning Committee will audit them, but they will not need to go through the Planning Committee prior to Session approval. Hosts the Annual Session Leadership Summit each August to review Session committee goals and objectives for the coming year. Reviews the annual organization of the Session, recommendations to Session for the assignment of elders on standing committees and the naming of officers of the corporation. Plans, implements and evaluates the annual Session Retreat and coordinates the periodic meetings of the College of Elders. Vice Chair of Planning and Senior Pastor are responsible for periodically reviewing the Session Manual and incorporating all Session-approved additions, changes and amendments into the Session Manual. When requested by session Committees or the Senior Pastor, the Planning Committee recommends to Session the appointment of special Task Forces to develop new policies and ideas for the ministry of the Church and hears first and second readings of Task Force reports prior to Session approval. Through the Communications Ministry Team, the Planning Committee coordinates all advertising, media relations, printed materials, web site and signage; monitors the effectiveness of all communications and marketing campaigns; and develops and implements policies governing the dissemination of information and use of the Church name and logo. Periodically appoints special Ministry Teams. Assists Director of Stewardship and Endowment in planning and conducting the annual Congregational meeting. Sets the regular times of worship and approves all special worship services, concerts, special conferences and workshops. Annually sets the dates of Holy Communion, Baptism, ordination of Elders and Deacons. Coordinates the work of the Sunday Morning Worship Ministry Team in the recruitment of volunteers and their participation in the worship life of the congregation: greeters, ushers, lay readers, tape ministry, parking attendants, etc. Works with the Church staff in planning special worship events and in evaluating the effectiveness of the worship service in the life of the congregation in the light of the Directory for Worship in the Book of Order. Coordinates all educational programs in the Church: Sunday School, Vacation Bible School, adult study groups, youth groups, retreats, Festival of Faith, Wednesday night series, etc. Approves all curriculum, study materials, guest speakers and teachers as well as resource materials to be used in any educational program. Coordinates the recruitment and participation of all volunteer leaders in the educational program of the Church. Develops educational policies and teacher training events as needed. Works with the program staff of the Church to annually evaluate the overall effectiveness of the educational program in the development of the spiritual life of the Members of the congregation. Oversees the Church library and its programs. Works with the Music and Fine Arts staff. Oversees and coordinates the work of the Music and Fine Arts programs.